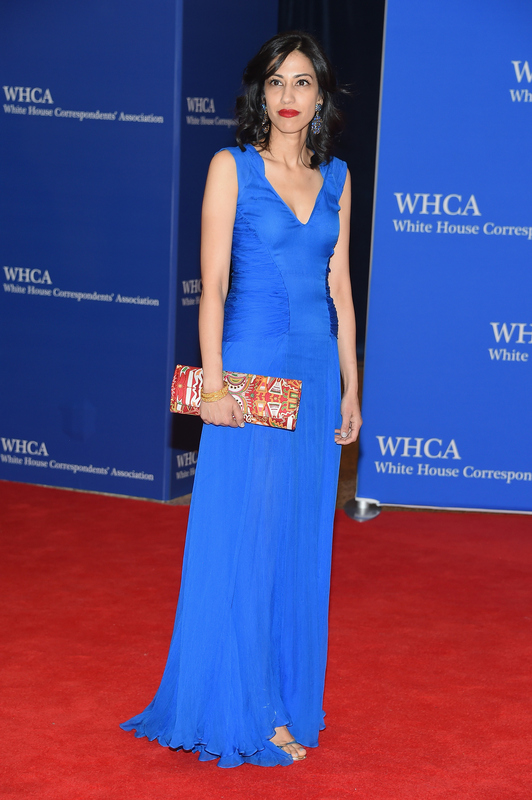 Huma Abedin, longtime aide to Hillary Clinton, spouse of Anthony Weiner (don't get me started...), and all-around fabulous woman has officially joined the Twitter. Rejoice! In recent months, Abedin has shared headlines with Clinton in the ongoing saga regarding Clinton's private email server she used while serving as Secretary of State (and to frequently email Abedin). Now that she has a Twitter account, the ever-dignified Abedin will certainly have more control over her public image and conversations about her life (work, personal, and otherwise). And she's already proving to be a Twitter whiz; in fact, Abedin's first tweet is perfect and shows she's ready to take the GOP to task. For her foray into the Twittersphere, Abedin made a comment on Ben Carson's recent remarks that a Muslim person should not be president of the United States — which actually happened in 2015, and is every bit as ridiculous as it sounds. (The only thing more ridiculous, in fact, is the House voting overwhelmingly to freeze Planned Parenthood funding. It's been a good week for the GOP.) Abedin herself is Muslim, and called Carson out on his Islamophobic remarks, stating that one can be proud of being a Muslim and proud to be an American — because, duh. My guess is that the two may have made a bet that either Tim Miller lost, forcing Abedin to make a Twitter account where he will now have to try to keep up with her wit; or perhaps on a less goofy note that Miller thought Abedin wouldn't want to touch Twitter with a ten foot pole after her husband's mortifying adult content snafu on the social media site several years ago. Regardless of the meaning behind the second tweet, we know based on Abedin's deep knowledge of other communications technology (like, ahem fax machines...), her political expertise, and her apparent wit, Abedin's Twitter is sure to be a hit in the months leading up to the 2016 election. Maybe her debate night commentaries will even be able to top Minnie Driver's GOP debate quip! Welcome to Twitter, Huma! And be sure to let me know when Miller coughs up the 10 bucks he owes you.